Just ran across my notes for the Monday classes at the Best Lil Nail Show Texas and realized we haven’t chatted about them yet! There was a great selection of classes to choose from and I popped into a handful of them to give you an idea what was available if you’re looking into it for next year. 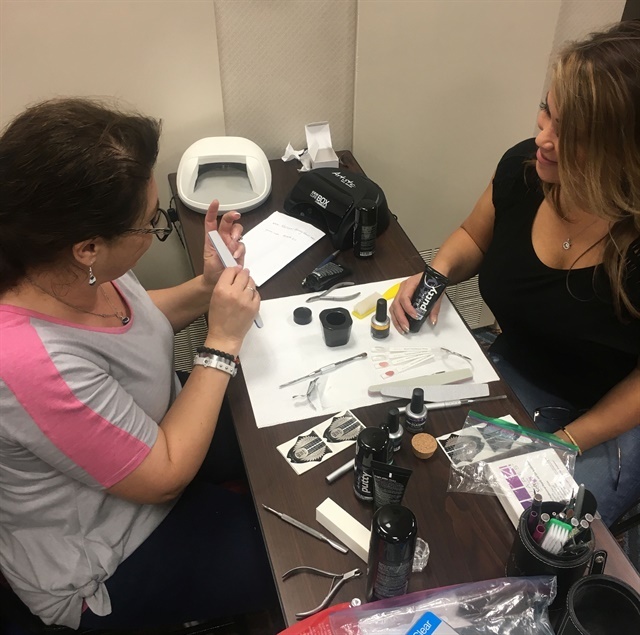 The Atwood e-file class featured Nicole Atwood and offered attendees the chance to learn, improve, or perfect e-file skills while working hands-on. Nicole was giving great tips and displayed patience which is so helpful when learning something like the e-file that may take some time to get the hang of. Tan Nguyen, whom you may recognize as NTNA competitor “Tan the Man,” offered a class on the one-stroke style method of design. Attendees got up close and personal with demos, then had multiple opportunities to practice on their own with some help from Tan. Famous Names offered an IBX certification in addition to a class on the new IBX Boost. A great tip offered by educator Lisa Wong was for attendees to remember to take before and after photos when using IBX to create material for social media posts. Another #NTNA notable, Lauren Wireman also offered classes. 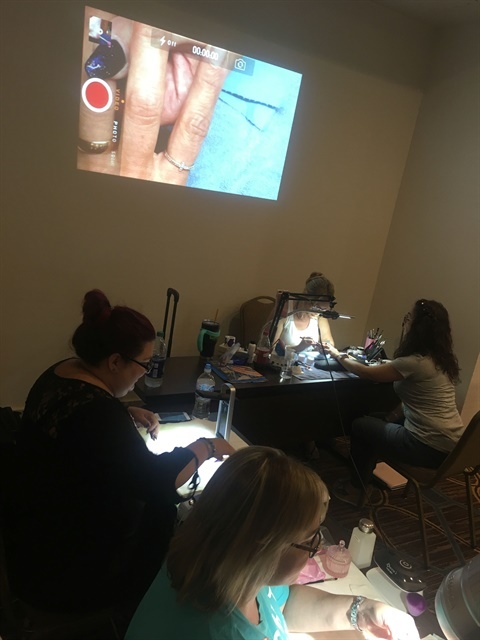 On Monday morning she was teaching the Elevated Nail Art, demoing under a camera, then allowing attendees to practice while she walked around to offer tips and advice. 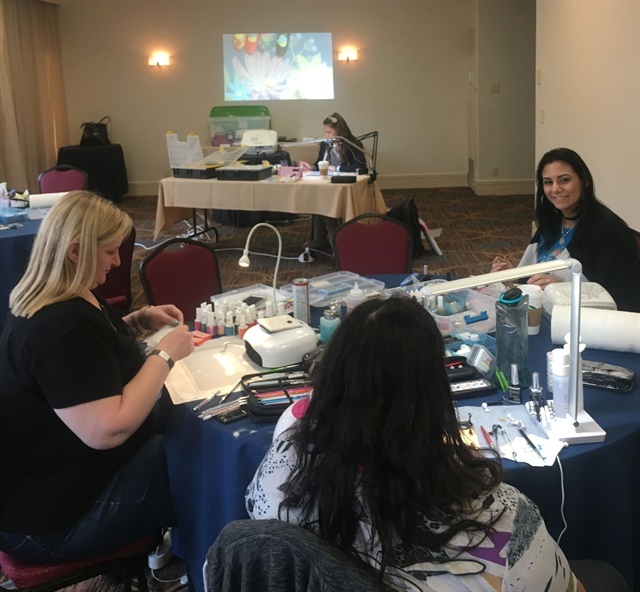 Artistic Nail Design was onsite to offer Perfecting Putty with Alisha Rimando. 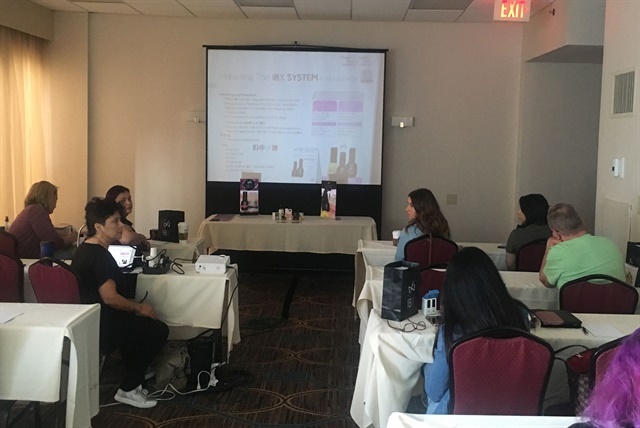 The intimate class setting gave the feel of a private class and attendees seemed pleased with the results of a customized learning experience. 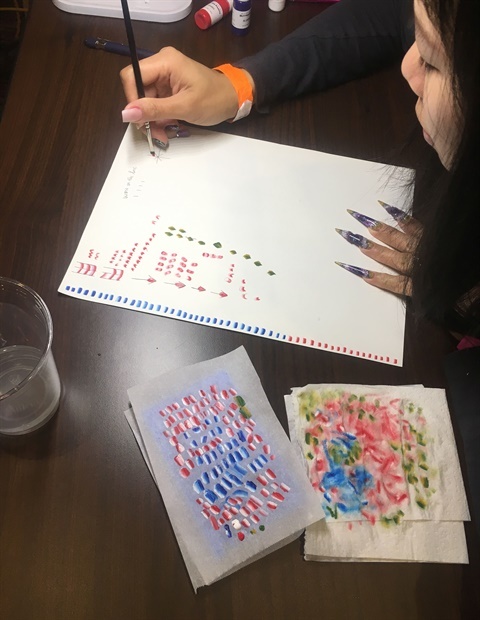 As you can see, the Best Lil Nail Show Texas in Houston is a great resource of well-rounded options from classes and competition to product purchases and fun!